As a small business owner you will want to use all possible tools to promote your business. If you have registered with Yelp, you can be sure that you’ve made the right decision. There are many services like Yelp, which claim to help you promote your business, but not all of them are generally used by the public. Yelp is a well known platform which is used by millions of users to find local businesses. Therefore, if you haven’t registered with Yelp yet, claim your business now and make the best use of the platform. There are certain things you need to do in order to market your business easily using Yelp. Yelp Metrics is a very helpful tool to help you measure your metrics. It gives you a very clear picture of how your business page is doing on Yelp. You can get the number of mobile check-ins, clicks to your website, deals sold through Yelp, directions asked, user-uploaded photos, and so on, using their Yelp Metrics tool. It will help you decide strategies and plan other activities you need to do in order to better promote your business. Moreover, you can also find ways to improve your business page on Yelp and employ more tools to promote your business more. Sounds weird? But you’ve read it right. It is necessary to have a few bad reviews about your business. This is only to show that you are running a real business and that it is like any other business that people find in other places. Having only good reviews which speak about your business will make readers feel that it is too good to be true. There should be more good reviews and a few bad ones. However, you also need to take care not to include reviews that speak too bad about your business. You might not want to try it, but let me tell you that it works. Some customers might be really interested in reviewing your business and such customers will review your services and products regularly on Yelp. You can encourage them to keep writing reviews by replying to the reviews. It is important to reply to customer comments in order to keep in touch with them. You might contact them privately by email, but replying to the comments lets them know that their interest is recognized. This is important to build a portfolio of loyal customers. You need to research on how effective your Yelp activities have been. It is essential to research regularly on various aspects in order to find the ways in which you could improve your website, business page on Yelp, or products and services to meet customers’ needs. Remember that the feedback you get from the customer reviews is the reflection of the customers’ experience at the venue and hence, exercise great care in analyzing the feedback and implement whatever measure is possible to satisfy customers. 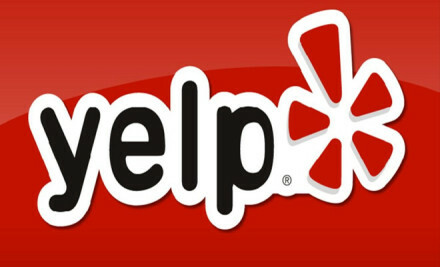 Some of your customers or potential customers might not know about your presence in Yelp. Therefore, feature some of your best Yelp reviews in the promotional mails you send to customers. If you are sending the mail to existing customers, you can personalize it by including reviews of products or services they have already used and also include reviews on the ones they haven’t used yet so that they can know more about the other services they might find helpful. With that being said, you also need to focus on the quality of the products and services your business is offering. When a customer finds a good review about your business and visits your store and finds that what they read was not true, it is going to have a negative impact on your business. Therefore, improvising the quality of products should be your primary task and the rest will happen automatically. Andrea Walters, a freelance writer for www.globalx.net – The Nation’s Lowest All-Digital Price Provider of dish tv packages.